Here at EpicOrange to compliment our range of Sports bottles we can supply these Foldable Bottle Holder Crates. 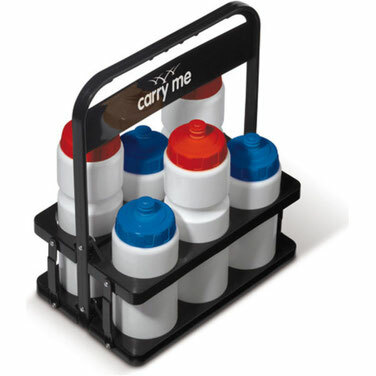 Go to any race and you will often see these in use within the 'feed zones', you may also wish to view our Bottle Holder Bags for an alternative with a twist! Strong rigid plastic in a proven folding contruction, suitable for 500ml, 750ml bottles and some 1ltr bottles. Strong handle for easy transportation, plus top section with large print area for team / club branding. Size: 290mm x 330mm x 60mm, available from just 50 units!